If you're an Android user and need to delete the data on your phone, then you know that there are a number of good options for backing up your phone first. A lot of this can be done via the Cloud, so that the content can be brought back easily, but backing up your SMS inbox requires the use of third-party tools. There are a lot of different options on Google Play, but the question becomes which one should you use. 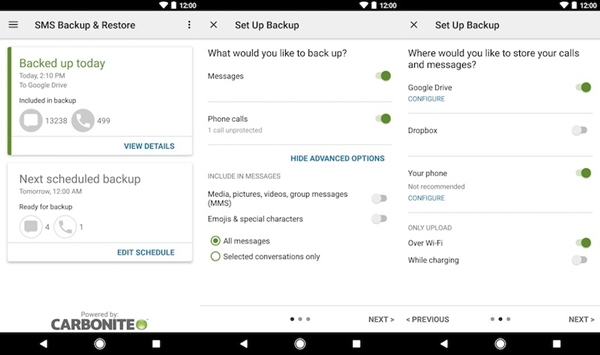 Most of the popular ones require access to your Gmail account to automatically create and restore the backups, but if you aren't comfortable giving this kind of access, we have a good option you can try, which we used ourselves as well to backup SMS messages on our Android phone. Here is everything you need to know about backing up (and restoring) your phone's SMS archive, which can be saved on the device, mailed to yourself, or saved to the cloud. This will be useful if you need to reset your phone to factory settings, or if you're switching to a new phone. We used SMS Backup and Restore, which was acquired by Carbonite a few years ago. 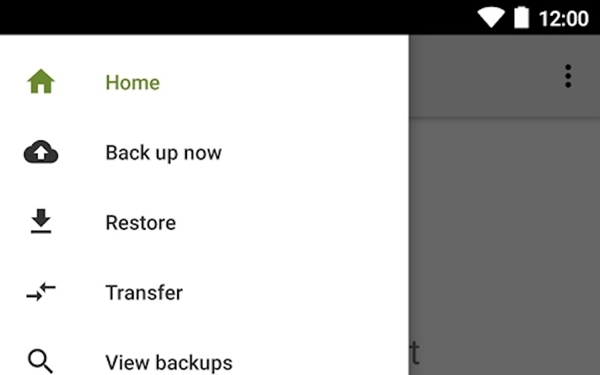 Just follow these steps to backup SMS on your Android phone. You'll have to grant access to files (to save the backup), contacts, SMS (obviously), and manage phone calls (to backup your call logs). Keep tapping Allow on all four pop-ups. Toggle phone calls off if you only want to back up your texts. You can also tap Advanced options if you want to back up MMSes or selected conversations; leave this alone if you want to back up your entire text archive. Now, using the toggles, select where you want to make the backup. You can choose Google Drive or Dropbox, but if you don't want to give access then you can turn on the toggle for Your phone, and then copy the file manually. If you're okay with the default folder tap on OK, otherwise tap on Browse and find the folder you want to save the backup in. Once that's done, tap on Next, and then in the popup, tap on Yes. That's it, the backup will now be carried out. With around 13,000 messages on our phone, the process took under three minutes. Once you have the backup file, you can copy it to your PC, or save it to the cloud manually, without linking your apps to a third-party software. Tap the hamburger menu icon on the top left, and tap on Restore. It should find the latest backup automatically, but if it does not, tap on Select another backup, and tap on the file you want to restore from. Choose from the toggles to decide what you want to restore, messages, and phone calls. That's all there is to it. The app restores all your messages, so you can pick up where you left off even if you're switching to a new phone. And if you're backing up your existing device, it is also checking for duplicates so as to not flood your inbox with copies. The process not quite as fast as backing up the messages. Restoring around 13,000 messages took around five minutes. Once that's done, you're good to go and can uninstall the app if you want to, or if you want to schedule regular backups, that is also an option available to you. Since the app needs to be the default SMS application for restoring messages, you'll want to go to your SMS application and open it to make it the default again, but other than that, there's nothing else you need to do. Was this tip useful to you? And do you have a preferred alternative for backing up SMS messages on your Android phone? Tell us, and the other readers, via the comments, and check out our other helpful tips in the How To section. For the latest tech news and reviews, follow Expy Multimedia on Twitter, Facebook, Instagram and subscribe to our YouTube channel.